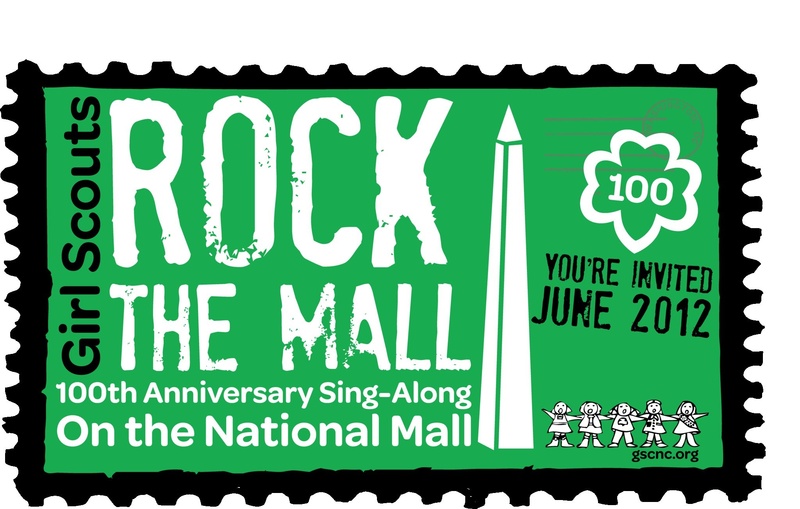 The date for the Girl Scouts Rock the Mall: 100th Anniversary Sing-Along has finally been announced: June 9, 2012! The Girl Scouts Rock the Mall: 100th Anniversary Sing-Along on the National Mall, is expected to draw over 200,000 Girl Scouts, friends, family and alumni from around the world to Washington, D.C. The Girl Scouts have a long tradition of holding a Sing-Along on the National Mall. For Girl Scouts’ 85th, 90th and 95th anniversary – over 250,000 Girl Scouts lined the National Mall and sang some favorite Girl Scout songs, listened to the music and joined together to celebrate the strength of the Girl Scout movement. Now it’s time to gather and celebrate 100 wonderful years of Girl Scouting! To stay informed about Rock the Mall visit the event’s Facebook page.